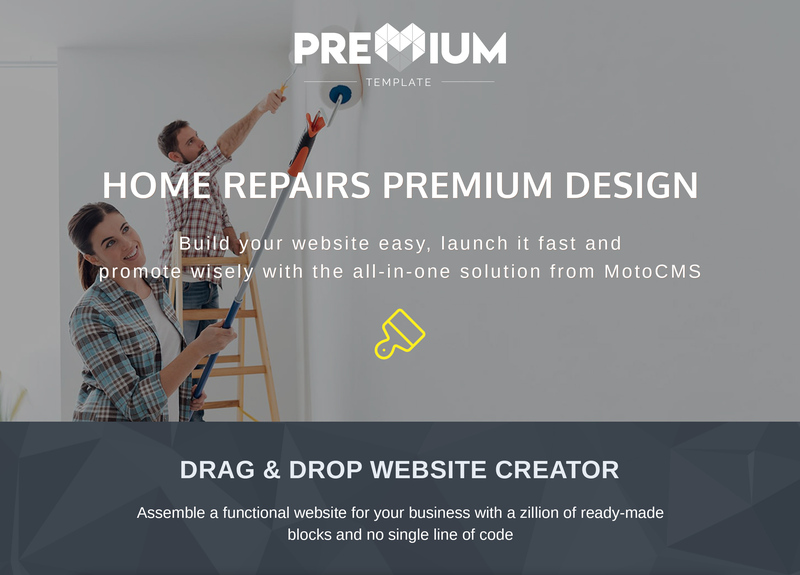 Short description: The design of Home Repairs Moto CMS 3 Template is clean, minimalist, airy, and spacious. 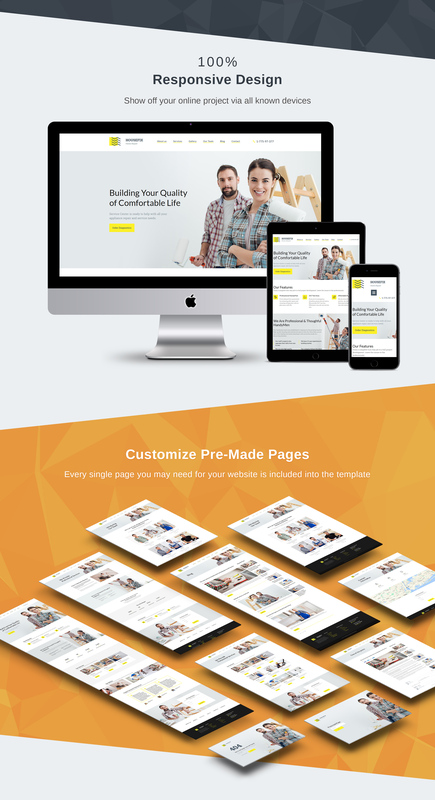 Bright yellow accents draw visitors' attention to the essential information. 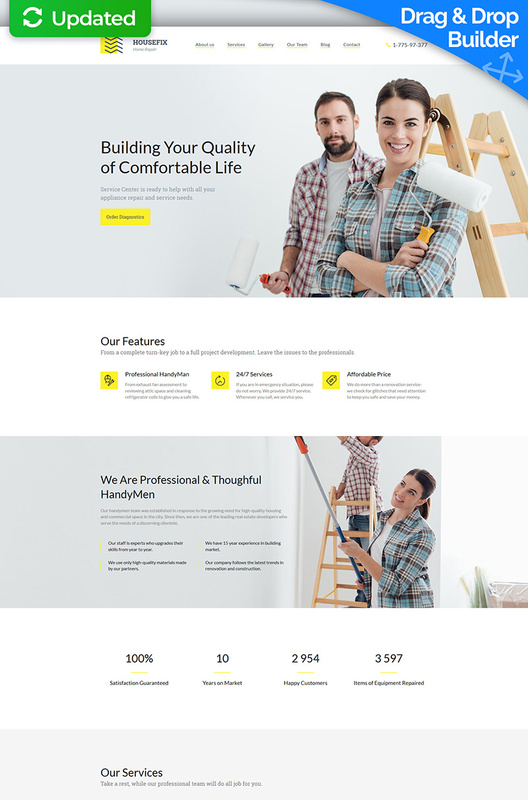 Main menu has fixed position on the page, which is very usable as major navigation links constantly stay before the visitors' eyes. Simple outlined icons look neat and make site content more understandable for the users. You can tell about company achievements with the help of numbers that are easier to comprehend. Feature company works in the animated gallery. Happy customers testimonials always raise trust to the website. Here you can place them in three columns, with frames and photos. There is a simple form, customers can use for getting a quick quote. Give this template a try and you won't regret.